Although it’s been out quite a long time, the James Wan-directed “Aquaman is still ranking on the top 10 U.S. box-office. 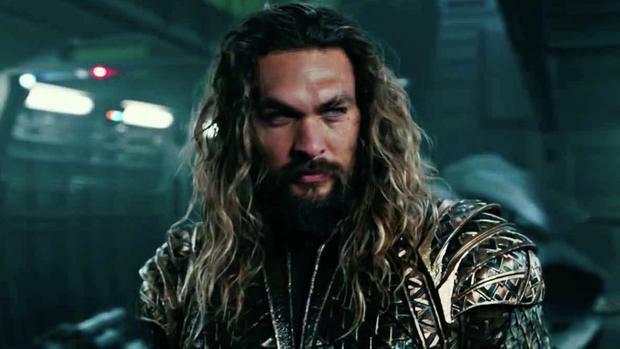 Like the Patty Jenkins directed “Wonder Woman,” from 2017, “Aquaman” stands out as another in the lone of commendable DC offerings. “Aquaman” for all intents and purposes is just a fun trip the DC comic book universe. Jason Mamoa is Arthur Curry, “a man who can talk to fish, says Ben Affleck’s Bruce Wayne aka Batman says in the trailer. Ironically that was uttered in “Justice League,” just released last year. Although it was panned by many of my colleagues, I thought it was an engaging introduction to some of the best identities in the DC universe. Like the first outing of “The Avengers” (2012), wherein the earth’s mightiest heroes team up to fight various bad guys. The other great thing about “Aquaman” is the notion director James Wan actually made this water-based entry interesting and captivating. I’ve said many times in the past that many directors do not have an adept hand at creating suspense in the water. The obvious suspects are 1975’s “Jaws,” as well as that clichéd ridden epic ensemble that was “The Poseidon Adventure,” led by Oscar winner Gene Hackman. Then fast forward to 1989’s Phillip Noyce directed suspenser “Dead Calm,” with the star power of a very young Nicole Kidman and a pre-“Jurassic Park” Sam Neill. Going back to “Aquaman,” this tale finds Mamoa’s Curry battling for the right to run Atlantis, which is currently run by Patrick Wilson’s King Orm. Orm thinks he has the entire ocean at his side, but he is a malevolent king who does not cater to his own public in the very least. Also interesting is the appearances of supporters Nicole Kidman, Amber Heard and Willem Dafoe. Kidman is Curry’s mother, who makes a brief appearance in the beginning of this engaging tale. Both Heard and Dafoe have bigger parts here, because for some unknown reason, the pair had more in depth story arches that were left out of the finished project altogether. Dafoe’s Vulko spends a lot of time teaching Curry in both his powers and hand-to-hand combat as well. Heard’s Mera is a confidant of Curry who retrieves him to his rightful place in the ocean’s blue. Both Heard and Mamoa share some great onscreen chemistry together. The duo look and feel like they belong together. On track for my comeback of the year is Dolph Lundgren, who not only supported in “Creed II” this year, but in “Aquaman,” he makes an appearance as King Nereus, one of the leaders of the ocean below. For me, this one was like either “Wonder Woman” or “Deadpool,” just passable entertainment for a fun night out with the movies. Wan proved that he could make an H20 entry both compelling and fun while still telling and engaging tale that was just fun.